SHERPA SYNDICATE (directed by Martin Kögel and Christian Greitman) is an interactive gaming installation. The person playing the game plays a sherpa. The goal of the game is to bring your tourist character up the Mount Everest. 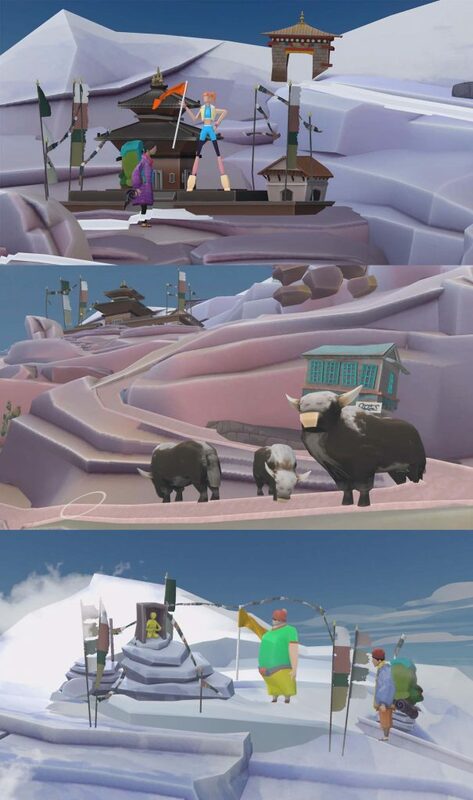 I worked on the character animation of the sherpas, tourists and animals in 3Ds Max. • August 2018: Sigraph Vancouver, Canada.